The DiaGel Diarrhea Control For Kittens .5ml Syringe Box of 6, model #571605, is an oral gel that supports digestion and bowel health in both cats and dogs. DiaGel is offered in numerous sizes to accurately dose the animal due to their weight. The DiaGel Diarrhea Control For Cats 0.5ml Oral Syringe Box of 6 is an orally given product which supports proper digestion and bowel health through the use of natural ingredients and essential oils. The formulation is microencapsulated to seal in the strong taste of essential oils, creating a palatable blend that dissolves after passing the dog's or cat's taste buds. Microencapsulation ensures DiaGel is palatable and easy to administer formula. DiaGel helps maintain a healthy intestinal tract. For use in Cats. May be given to cats of all ages. 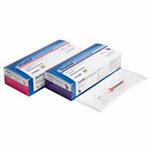 Product is packaged as 6 oral syringes per box per cat size.